When it comes to summer, the beach is the place to be. On a hot, lazy day it's difficult to find a spare space in the sand as bodies sprawl on towels and lounge chairs to soak up the sun. Relaxing is the primary focus with an occasional dip in the lake to cool and refresh. During the summers that our family spent at our vacation place in a town on the shores of Lake Huron, afternoons were reserved for the beach. Right after lunch, we loaded up baskets of fresh fruit and cold drinks, gathered change for the fry place, packed towels, books, lotion and sunglasses and folding chairs before lugging it all down to the water's edge. There we stayed for hours on end, just chilling out as the kids played in sand and plunged into the surf. Along the way, families from one end to the other were doing the same. A few years before we sold our place, and these halcyon days ended, something else was added to the landscape, though. Just down the way on the public side of the beach, a net suddenly appeared and the space became occupied by young, hard bodies on the move. Like a wave in a sea of calm, there was serious action happening. If you want to spend a summer day watching someone else get a good workout, while you relax in the most pleasant place imaginable, you might try to scope out a beach volleyball competition. The indoor version of the game is full of fast action, but when you play it in the sand, it really steps it up a notch. On the move with the same dips and dives, attacking the ball on an unstable surface requires extra strength and athleticism. It's a physical sport that relies on agility and stamina. Players really need to be on their game so to speak. For all these reasons, for those of us who prefer our summers spent sunning lake or pool side, it's incredibly fun to watch. 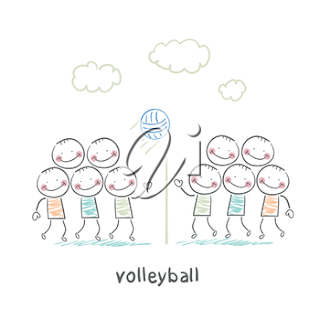 It's funny perhaps that this week I've chosen to focus my attention on a sport such as beach volleyball for this blog. After all, when I wander down to the sand, it's to nestle myself in comfortably on a lounge chair by the water. It is most definitely not to break a sweat while running, diving and swatting at a ball. Our granddaughter on the other hand would never be able to sit still if there's a net in sight, especially on the beach. For most of her teens and into her 20s she has played competitive beach volleyball. I admire her fitness and ability. From the sidelines. On a chair. With a cold drink. And a camera too. This is the perfect opportunity to practise some sports photography. Having shot indoor volleyball many times when working at a community newspaper, I know the challenges of taking pictures of this sport inside a gymnasium. The lighting is not great, the net gets in the way of focusing and the players move — fast. Beach Volleyball. Do You Really Need to Ask Why I'm Here? Summer brings out the fun in everyone. Whether it's a campout with friends, a family gathering at the cottage, hanging out with a group at the beach or participating in community events, there's never a dull moment for most people during the hot season. Of the aforementioned outings, the latter can provide the most variety. Hometown happenings geared to celebrating a festival or just to provide an excuse to party, are typically comprised of a number of different fun activities, from street dances to games. One that has become fairly popular is beach volleyball. If sand isn't part of the natural landscape in the area, it's trucked in for the purpose of creating a court. A net is placed and beyond that all that's required is teams. Of these there is typically no shortage. The challenge of taking an indoor sport and playing it on an unstable surface might not be everyone's cup of tea. But for healthy, energetic folks it can be the perfect excuse to get a group of friends together for some fun and action. When it comes to summer sports, I have to say it's been a while since I've played anything besides a rousing game of croquet. The enthusiasm I had when younger for a round of badminton or a few innings of baseball has most definitely waned. Generally now, when the heat of summer comes along, I'm far more content to sit cooling with a nice drink under a shady maple, then I am working up a sweat tossing, hitting or bouncing a ball. Fortunately, the younger generation in our family isn't following my example. My granddaughter, who was named MVP of her college volleyball team, loves being active. She also loves that game and in addition to playing on a court has done rather well with it on the beach too. While she has my complete admiration for both, it is her prowess at the latter that has really wowed me. The challenges of a regular game of volleyball, as far as I'm concerned, are enough. No need to add in the blistering sun and extra intensity of moving through sand, to make it tougher. 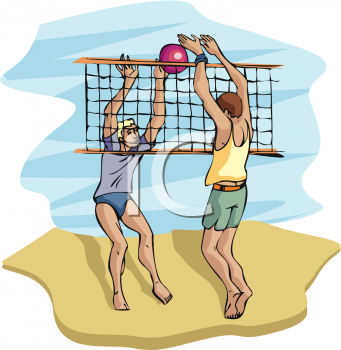 The reality is that those hard bods making a competitive game of beach volleyball look easy are true athletes. Playing in the sand is far more difficult than moving on a stable surface, such as grass or concrete. It's also a sport that uses every part of the body, while you run, jump and dive through the game.